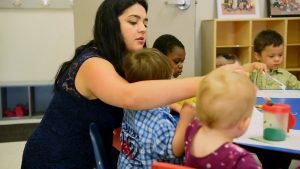 You probably know that enrolling your child in a licensed Mississauga daycare will support their development and provide them with an early start to their education. However, how do you know which daycare is right for your child? 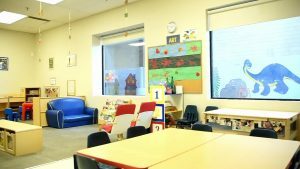 There are a few factors to consider when looking for a daycare, including the state of the facility, the programs and curriculum offered, and the teaching styles of the staff and teachers. When choosing the best Mississauga daycare for your child, visit the premises and take a look around. The building should be bright, spacious, tidy, and have a welcoming atmosphere. Be sure to walk around the facility and look at the cleanliness of the floors, walls, hallways, and kitchen and bathroom areas. You should also make sure that basic safety concerns are addressed. Are potentially unsafe areas childproofed with latches, safety gates, and covered outlets? Are the toys clean and in good condition? Are staff and children encouraged to wash their hands frequently to avoid spreading germs? What’s more, what measures are taken to ensure that only staff and parents have access to the building? If you have any concerns about the facility, you can find records of previous inspections conducted by the Ministry of Education online. Your child will be spending a lot of time at your chosen daycare, so it’s important to choose one that’s safe, clean, and inviting. Consider the different types of programs the daycare offers, and which program is best for your child’s age and needs. You should select a daycare that provides a positive, educational, and fun environment that aligns with your parenting philosophy. A good daycare will offer children routine and structured activities, including learning activities, quiet time, active time, group activities, free time, and meal time. These routines and organized activities will provide a comforting sense of structure to your child’s day, and help them learn to follow rules and work cooperatively. Educational activities and group playtime will also provide learning opportunities to enhance their cognitive, social, and language development. While each Mississauga daycare offers a different curriculum, Alpha’s Discovery Kids provides an academic and play-based curriculum to give children a head start on their educational journey. We believe that focusing on children’s individual strengths and areas of development will ensure that each child receives the support they need to thrive. Our curriculum includes language, math, science, music, and French lessons. We provide parents with two progress reports per year to keep parents informed of their child’s key milestones, strengths, and areas that need further support. 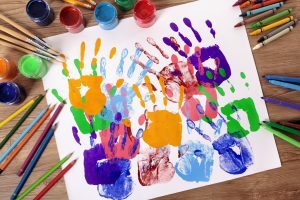 While the facilities and curriculum are important aspects to consider when choosing a daycare, caring and professional staff and teachers can make all the difference. Quality daycares should include registered Early Childhood Educators (ECEs), and all staff members should be knowledgeable in first aid training and child development. Staff and teachers should also make children feel welcome by fostering a friendly and warm atmosphere. Children require loving care to develop confidence in themselves and feel supported in the classroom. When selecting a daycare for your child, visit the classroom and watch how the children and staff interact. Do the children look happy and engaged, and are the teachers patient and calm? Any daycare that does not encourage parents to visit classrooms should be avoided. At Alpha’s Discovery Kids, we recommend that parents book a tour of our facilities and observe our classroom environment to make sure they’re comfortable and happy with our professional daycare services. Choosing the best daycare centre for your child can seem like an overwhelming task, given the number of options and amount of information out there. It’s important to choose a daycare that provides children with a compassionate and educational environment that supports their healthy development. The best daycare centre will take the time to help children foster an interest in learning, and encourage the development of their confidence, social, and cognitive skills. Alpha’s Discovery Kids strives to create a positive environment that nurtures each child’s growth and development. Our daycare programs are designed to support early learning through imaginative play, educational activities, and group play that promotes cooperation. We provide a curriculum that focuses on building basic academic skills to provide children with the foundation to thrive in the school system. At Alpha’s Discovery Kids, your child will be equipped with the skills they need to reach their fullest potential.